There are several ways to generate profits from the visitors of your blog and Google’s Adsense programme allows you to do so with ultimate ease. First, visit their website at http://adsense.google.com/. You’ll find out more about their advertising programme there, but here are some extra bits I’d like to tell you. Yes, your profits will only be cents if you don’t “do it right”. This involves placing your Google ads in the right places and ensuring they blend in to your site so that they appear more like links rather than advertisements to your visitors. Consult the Google Page Tips to see the “heat map” of your blog. The “hotter” a certain area, the greater the chances of someone looking at your blog. Anyway, let me refer you to a technological gadgets blog example. Let’s say you discover this Gadget X on a merchant’s website, and they offer an affilliate programme. What you would do is to create a post in your blog and do a mini-review on this Gadget X. Rip it apart and point out its benefits and bad points, if any, and include a link (which is given by the merchant) for the visitor to purchase the Gadget X online. Affiliate programmes are very nice ways to generate profit, but how do you find affiliate programmes that are related to your blog’s theme? Easy, just go to Google and search for <your niche> +”affiliate programmes”. Another slightly better way is to go to http://www.associateprograms.com/search to look for affiliate programmes in your niche. We’ve just discussed about using Google Adsense programme and other merchants’ affiliate programmes to generate profits from your blog. 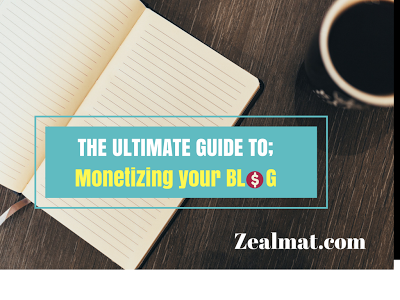 However, there are lot of other options to monetize your blog, so we’re going to look into that too. Last but definitely not least, you can sell advertising space on your blog if your blog is truly popular. Just take a look at blogs like http://xiaxue.blogspot.com. That blog receives over 10,000 pageviews every day (you won’t believe it) and naturally merchants will want to strike a deal with the blog’s owner to post their advertisements there. If you manage to pull in huge amounts of traffic like that blog, you can definitely get people to buy ad space on your blog for prices from $150/month upwards, depending on your blog popularity. To gauge how much pageviews and visitors you get everyday, just use the free tool available at www.statcounter.com. They have a very detailed setup guide there so I won’t go into it. If your blog has not acquired large amournt of visitors yet, you can still sell ad space on your blog on a per click or per impression basis. 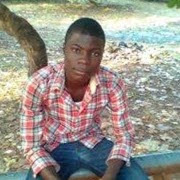 Just visit sites like www.adbrite.com. For a complete list of these sites. Make sure you share and leave your comments. Well said Prosper Noah. I like that last part "...selling of advertising spaces". But all the aforementioned ways to get profit on blogging is when you get a lot of traffic. Can you please recommend the best ways to get up to 10,000 visitors a day, like you said in the post? I would make a post on it soon! You are welcome @Gift we'd really appreciate you sharing with your followers. Yea @Techeda. Google Adsense is one of the best to some, but I personally prefer Affiliate Marketing more. Apart from Adsense, Is there any other Scheme that pays higher?